Oh no, here we go again. After Apple released the Verizon iPhone 4 with a slight silent switch repositioning, case manufacturers had to accommodate the new design change by updating and releasing Verizon iPhone 4 compatible cases. 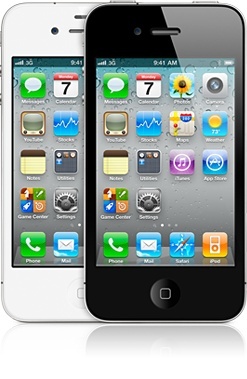 Now that Apple has released the white iPhone 4, there are reports of users who say that their white iPhone 4 is slightly thicker than the black iPhone 4 by roughly 1mm. This translates to current cases that are very tight fitting like hard plastic sliding cases may in fact cause trouble and will not fit the new white iPhone 4. What does this mean for you? If you just purchased the white iPhone 4 you may want to be careful with your case selection at this time. Avoid purchasing slider and tight fitting plastic cases until we get more info on the matter. Play it safe and get Apple's Bumper case if you need some protection.